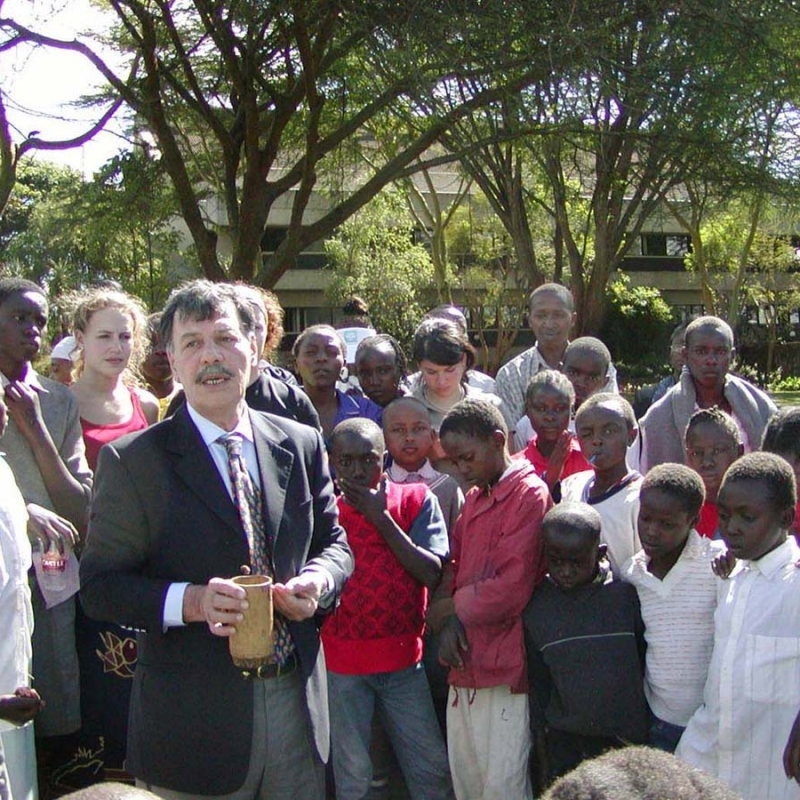 Study tours have been part of Globetree program since it was founded 1982. 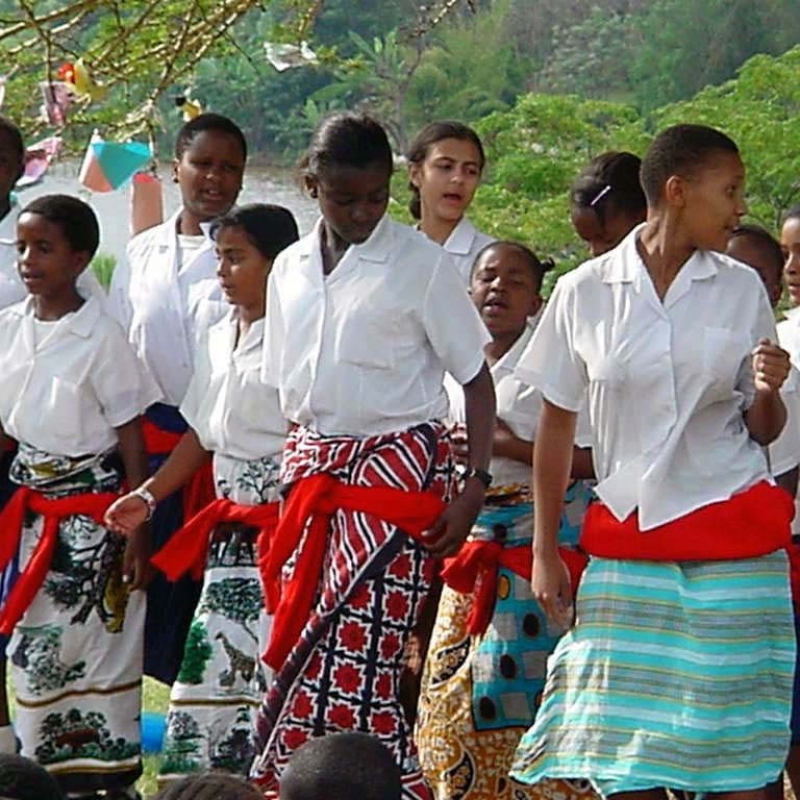 First to Indonesia for 16 years and then to Brazil and Colombia and since 2001 to countries in the Lake Victoria Region. 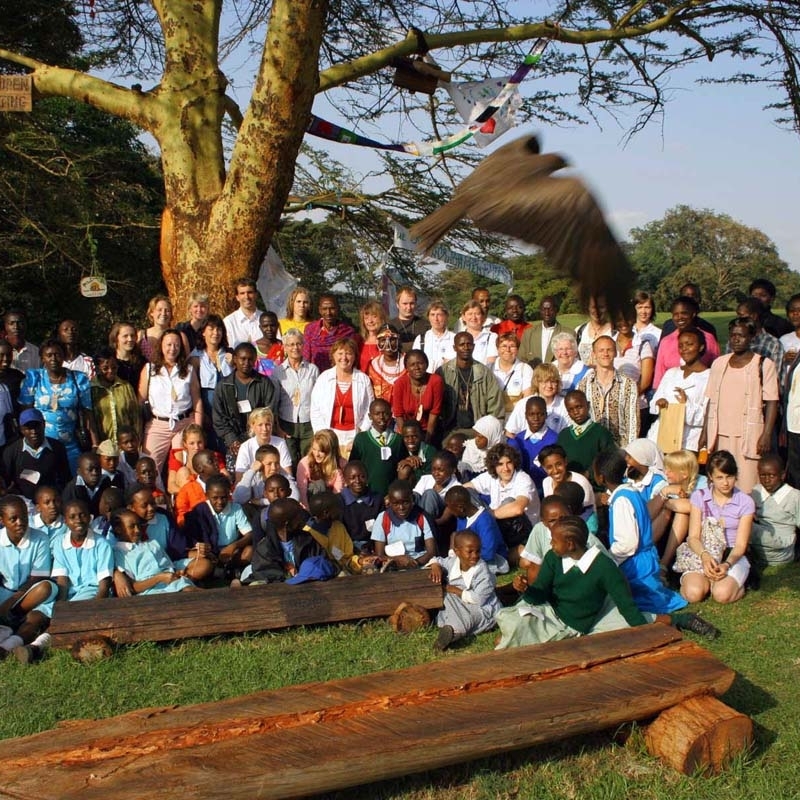 With the Study Tours give a unique opportunity to meet with Globetree friends, projects and programs. Read more about our study tours. 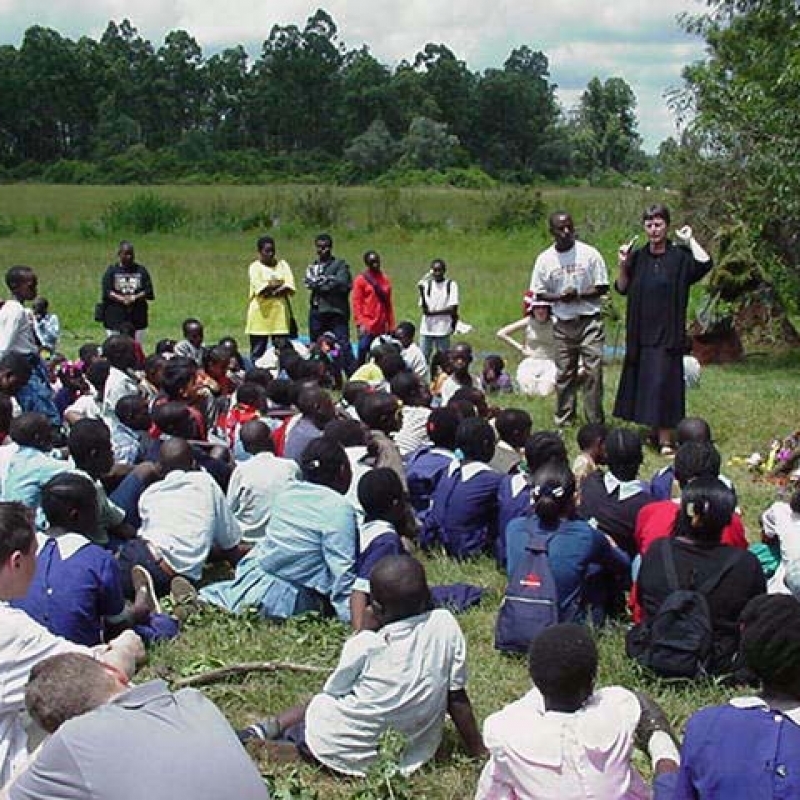 Since 2001 Globträdet has Study Tours till Kenya, Tanzania and Uganda in the Lake Victoria Region. The program is planned together with the participants to meet their special expectations. 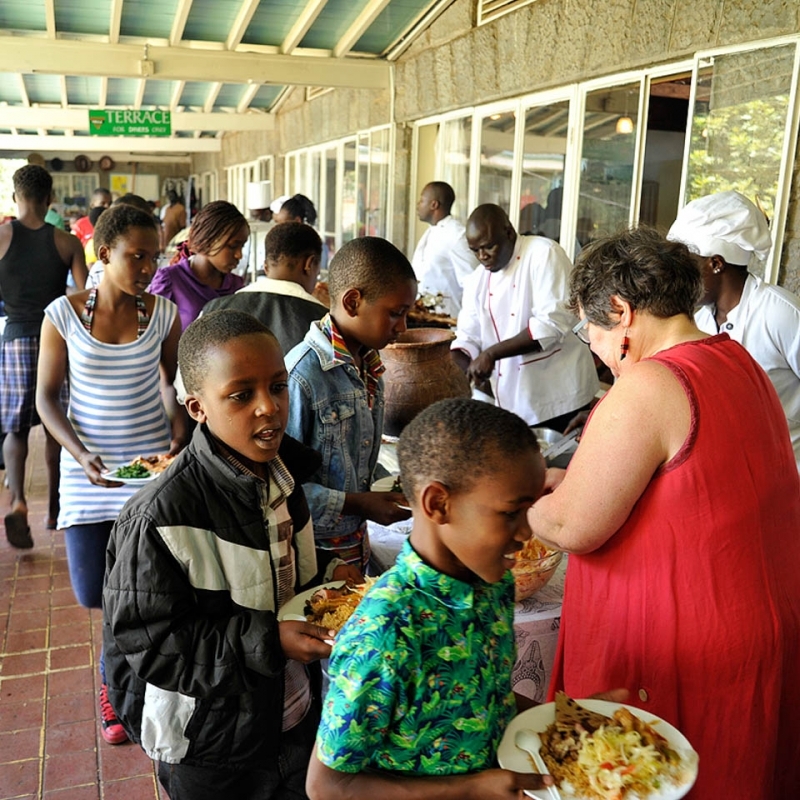 * Prepare and participate in the party for children living in the slums and the streets. * Field studies in the suburbs of Nairobi. 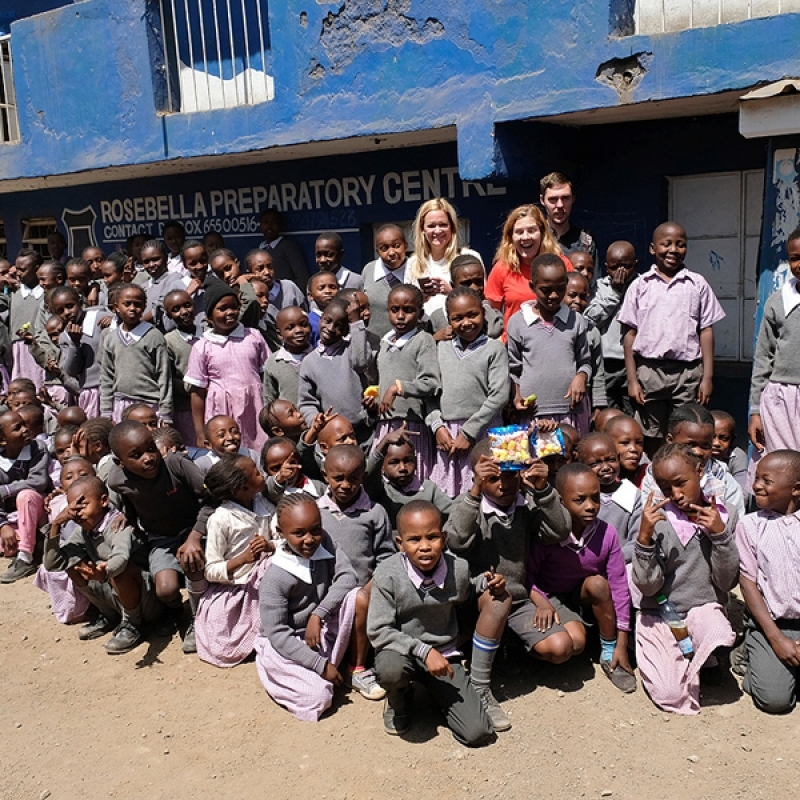 The last six years we visit Dandora. * Visit to the UN in Nairobi and when it is closed because of high level conference we meet at the National Museums of Kenya. We plan the study travels together with children and youth who have been acting in My Life performances on tour in Sweden. 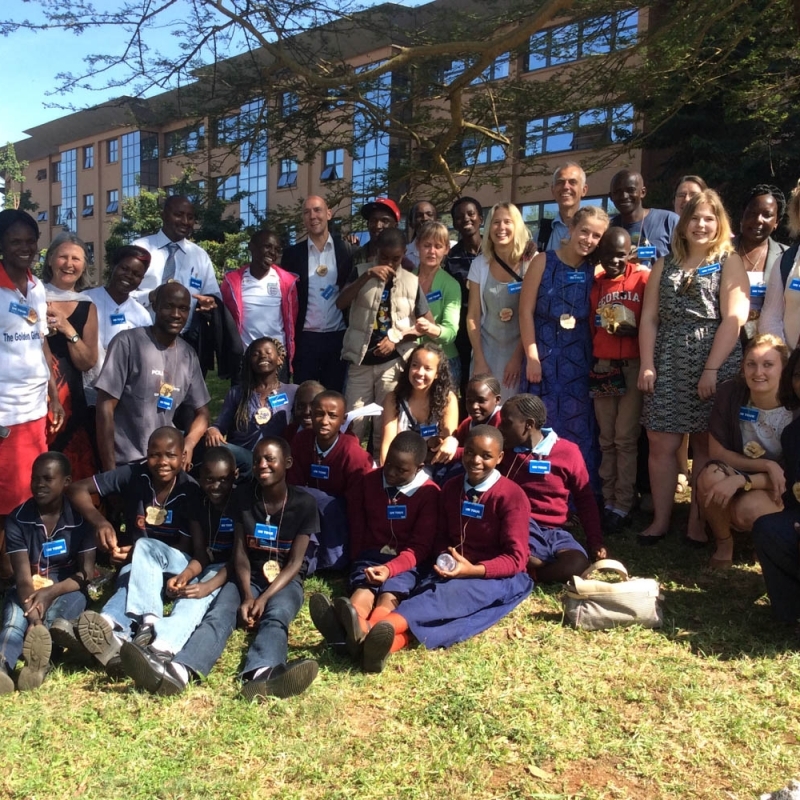 During three days the children show you into their every day life in Dandora where you find one of the largest dumpsites of Africa. Walking together and be guided by children is a very special experience. 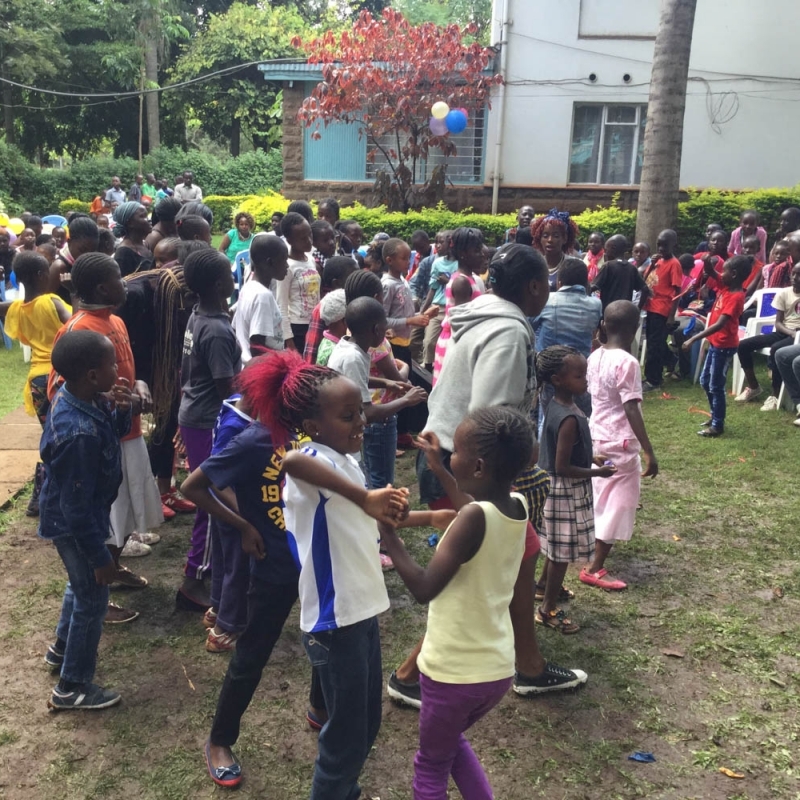 Many wonder: – How come so many in Dandora laugh and have fun? In this environment one expects everyone to be unhappy. 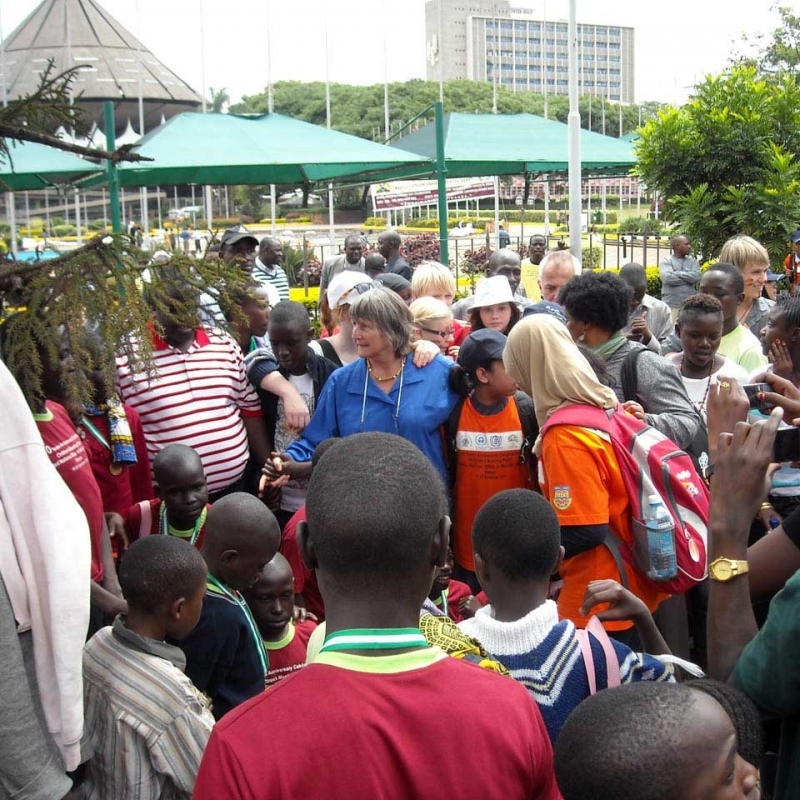 The Study Tour includes a meeting at the Children’s Meeting Place on the ground of United Nations, Nairobi. 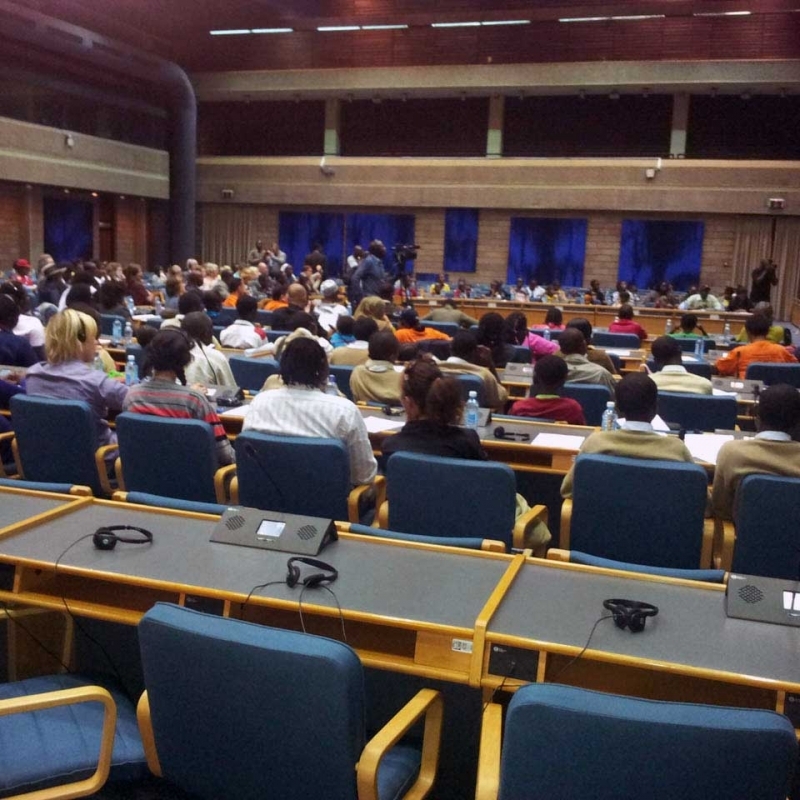 In Nairobi you find the UN Headquarter of the Environment program (UNEP) and UN’s City Programs (UN Habitat). 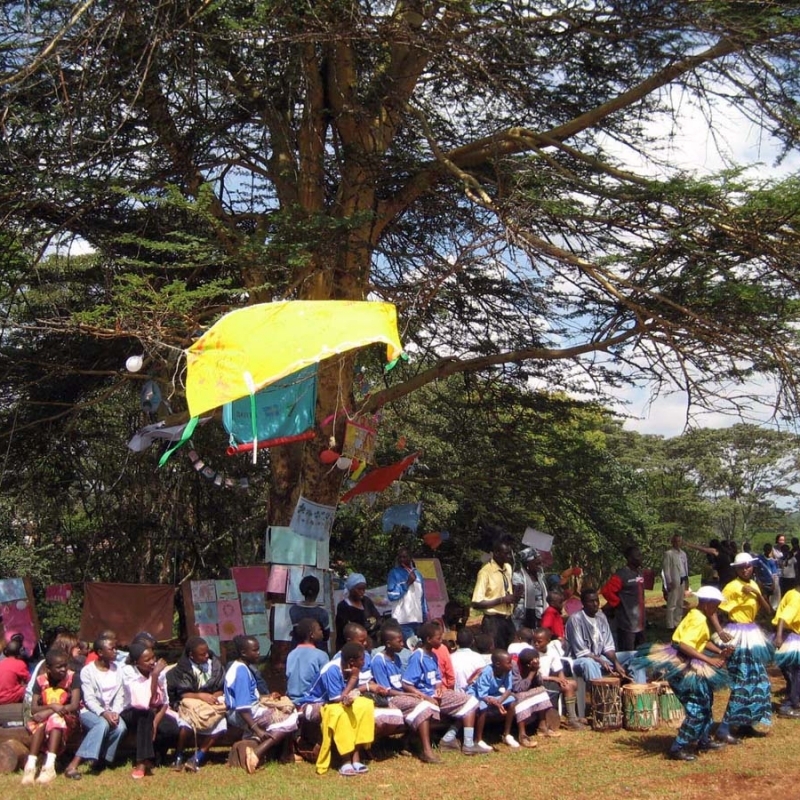 Globetree was given the assignment from UNEP to establish and run a Children’s Meeting Place. 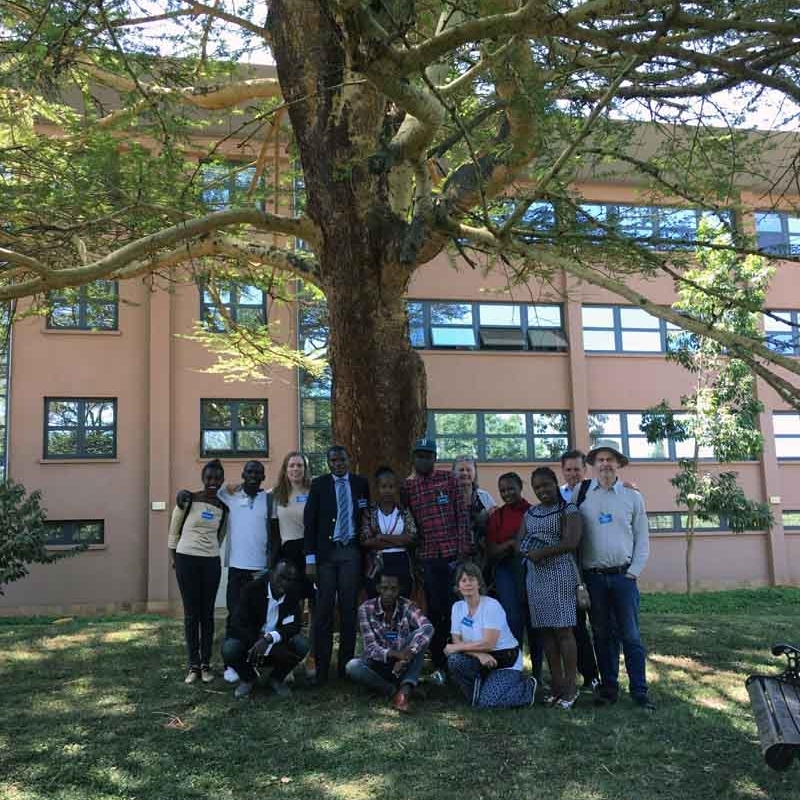 The meeting place is a big, beautiful acacie tree which is also called The Mother Tree as many mayors have inaugurated a tree close to their city halls where they meet and dialogue with children. 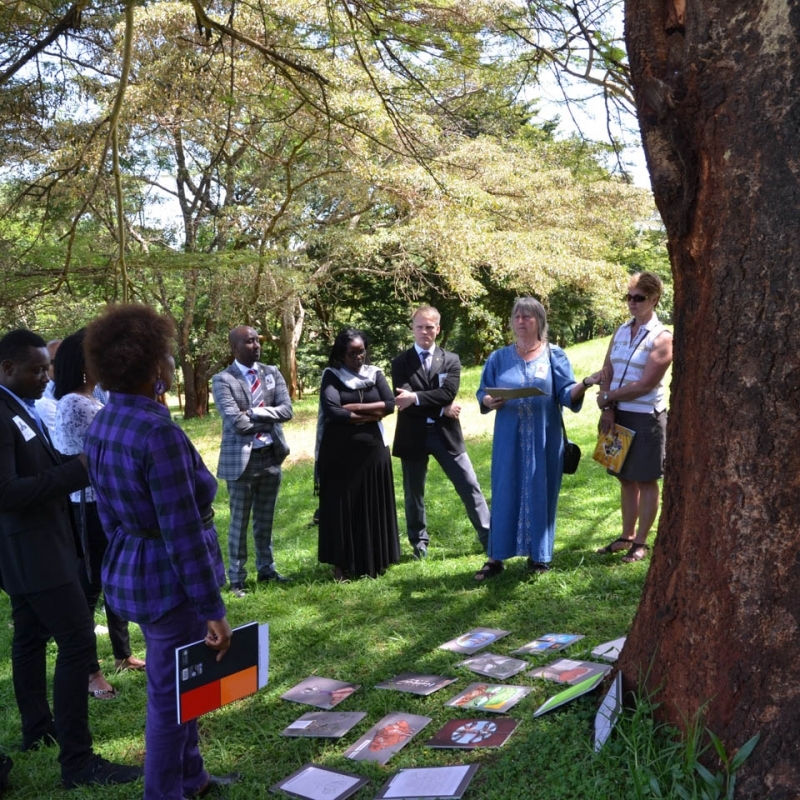 Many ambassadors, ministers of environment, mayors and other leaders of the world have met by the Mother Tree. 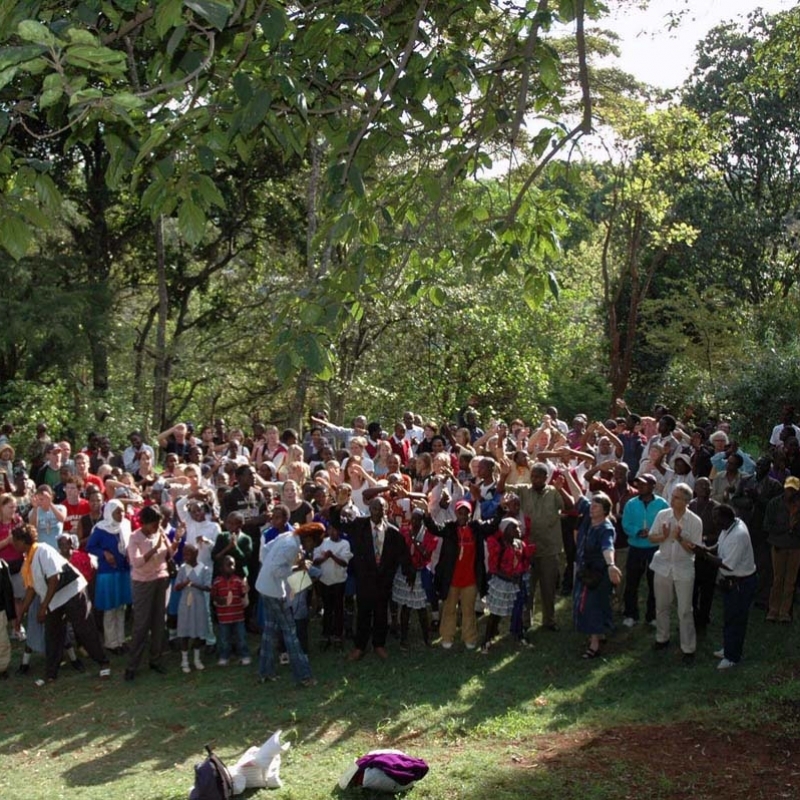 The Nobel Price Laureate Prof. Wangari Maathai who started the Green Belt Movement and astronaut Loren Acton have met children by the tree and talked about the importance of deep roots and the perspective of our Home Planet Earth being a small blue pearl in endless space. Anyone concerned with children and youth, dialgoues over boundaries of cultures and nations and international relations are welcome to join the Study Travels. Several hundreds of teachers, pupils, artists of all arts, politicians, civil servants, parents and grandparents – all are welcome to join the Study Travels. 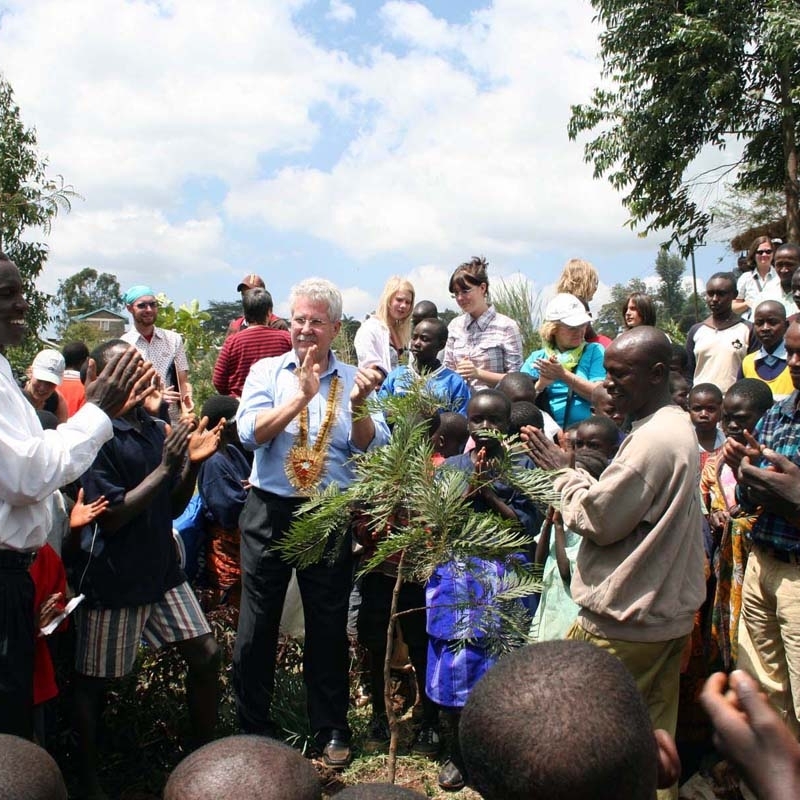 Why is Globetree in Kenya? 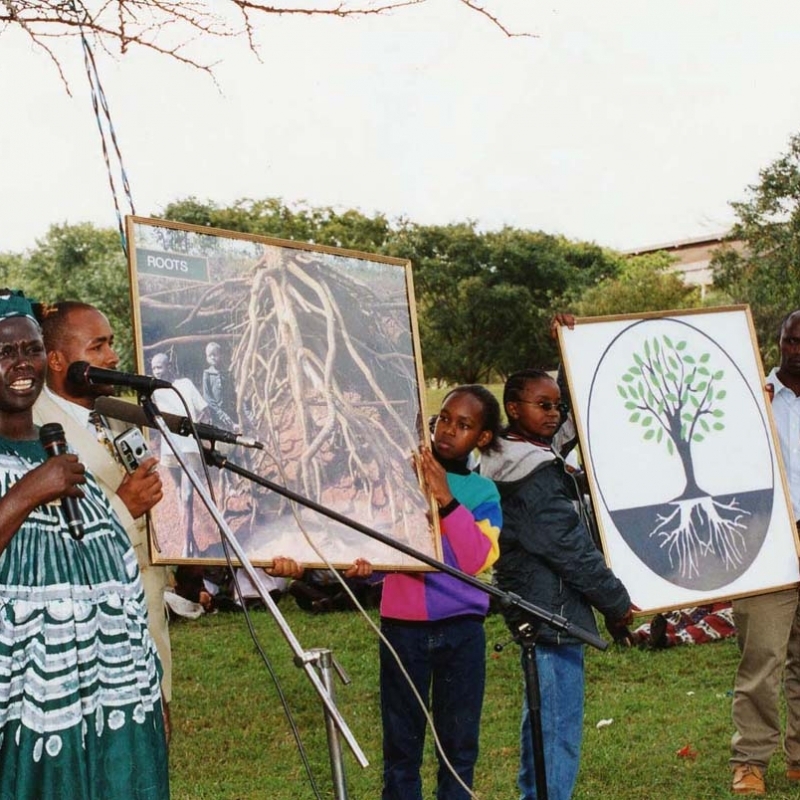 Year 2000 Globetree got The Global Roll of Honour Award from UNEP (United Nations Environment Program). 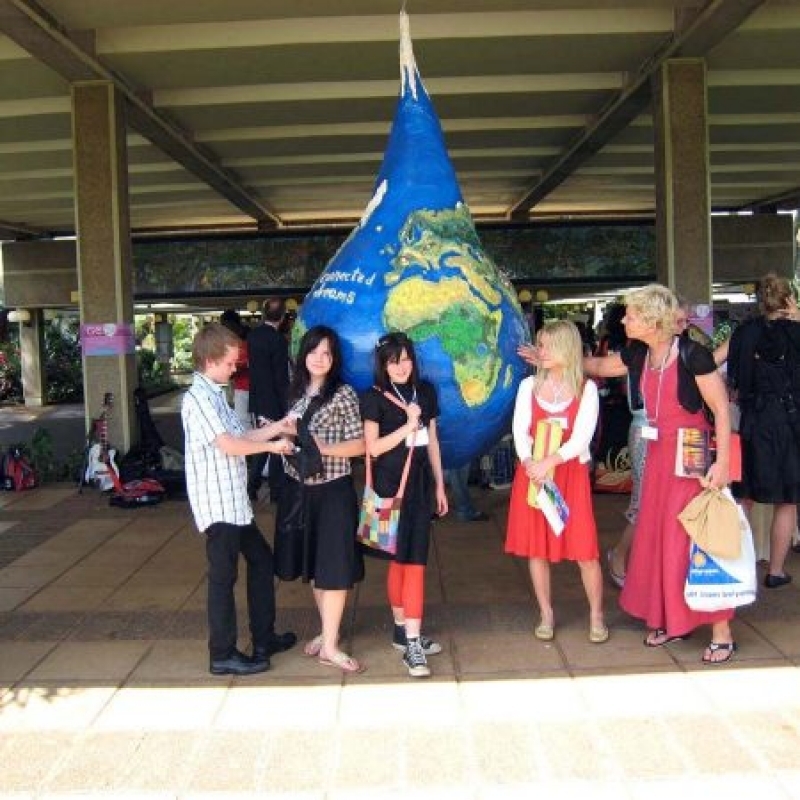 The year after Globetree was asked to lead the inauguration program for a global conference on the environment. 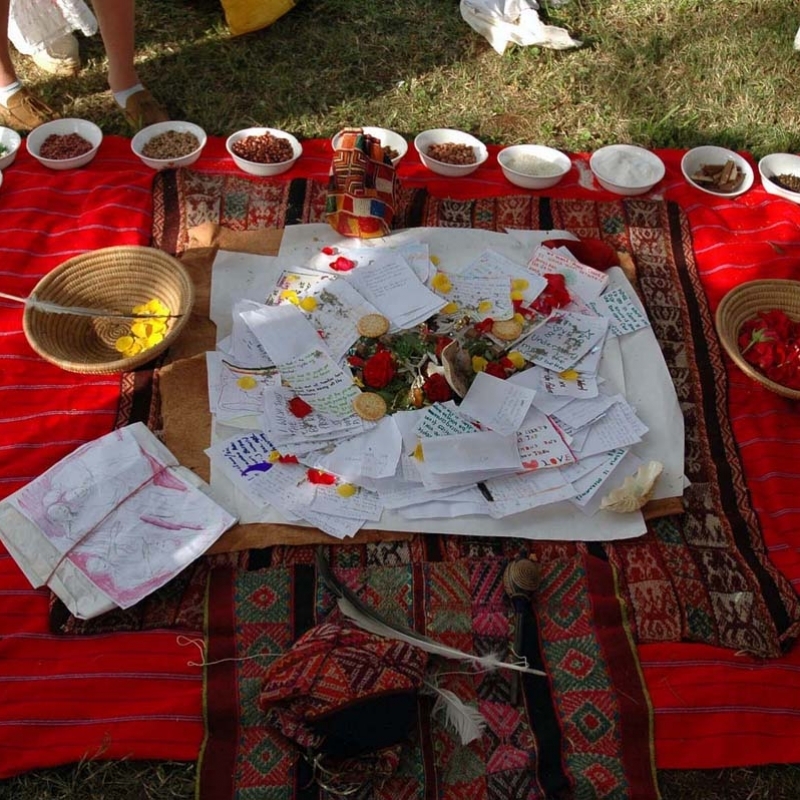 300 children and youth shared their concerns for the future with dance, songs, poetry, drama and visual arts. The program urged the leaders of the world to listen to children. 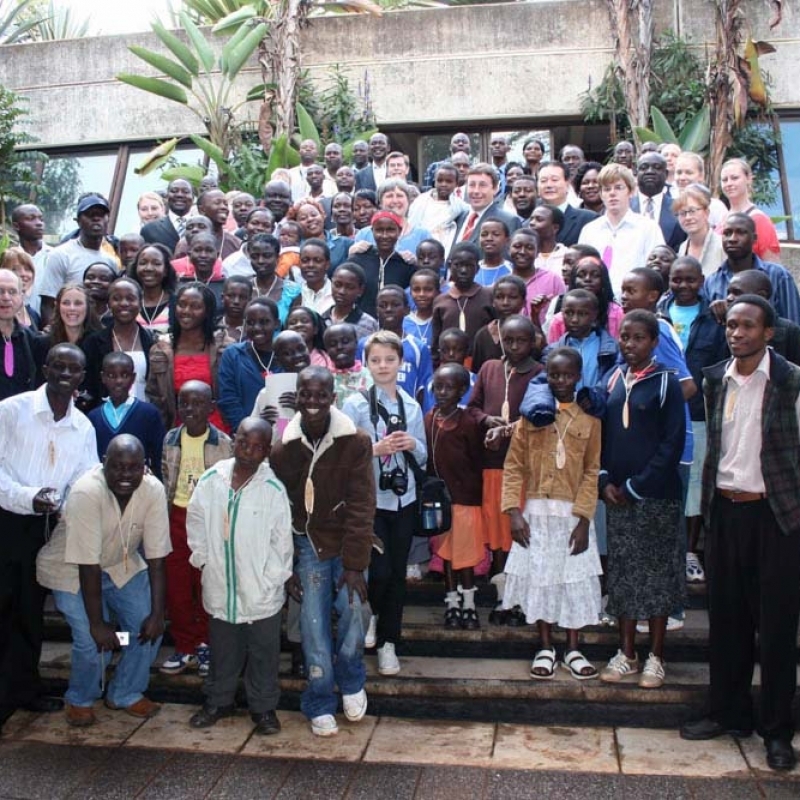 After the program Globetree was asked to establish and run a Children’s Meeting Place at UN in Nairobi.